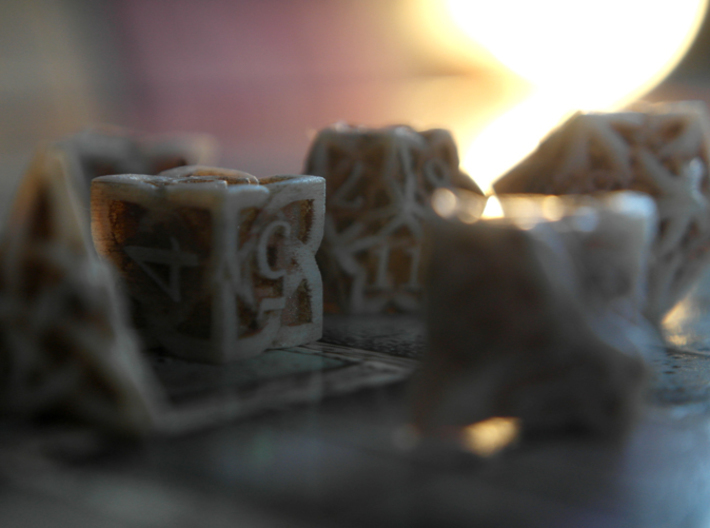 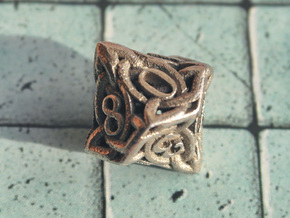 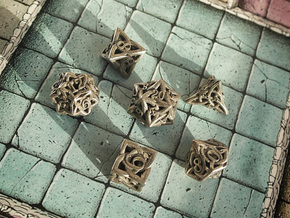 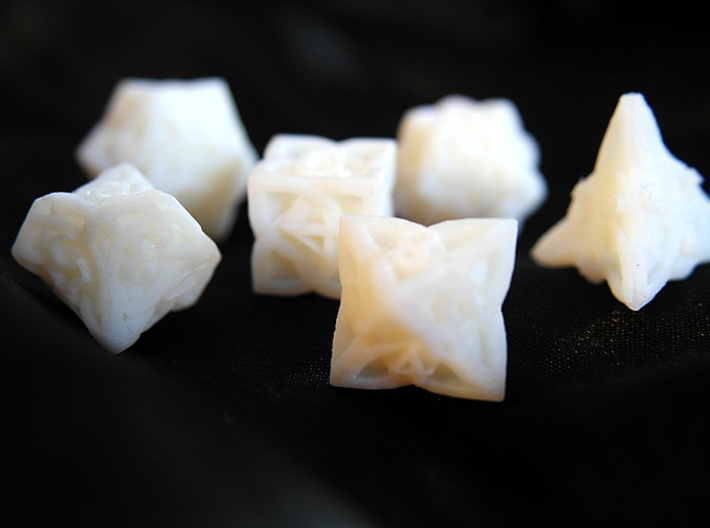 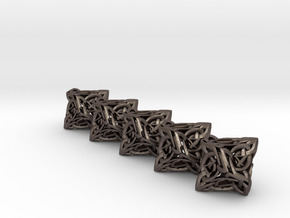 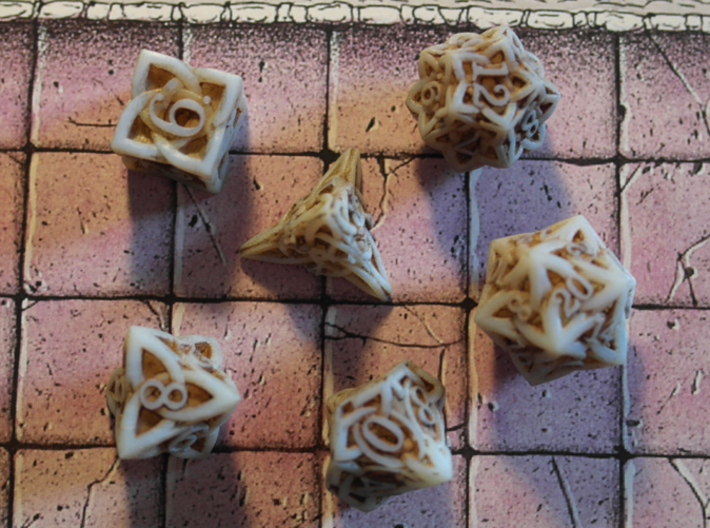 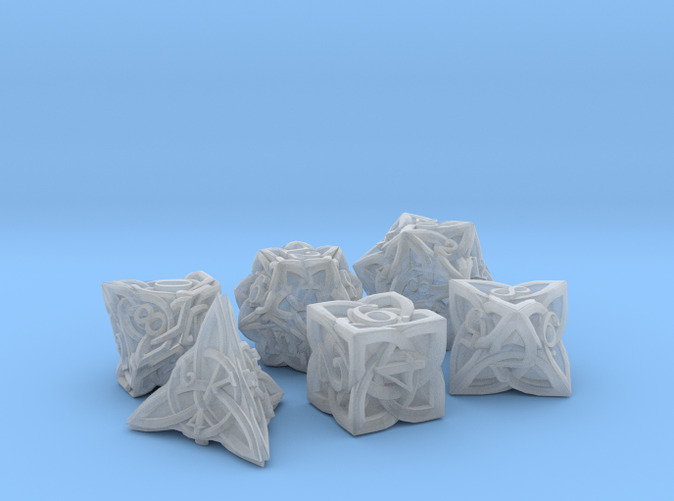 Dice set for gaming with a Celtic knot-work inspired theme. 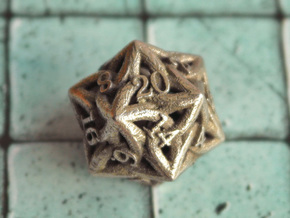 Set consists of a D20, D12, D10, D8, D6 and D4. 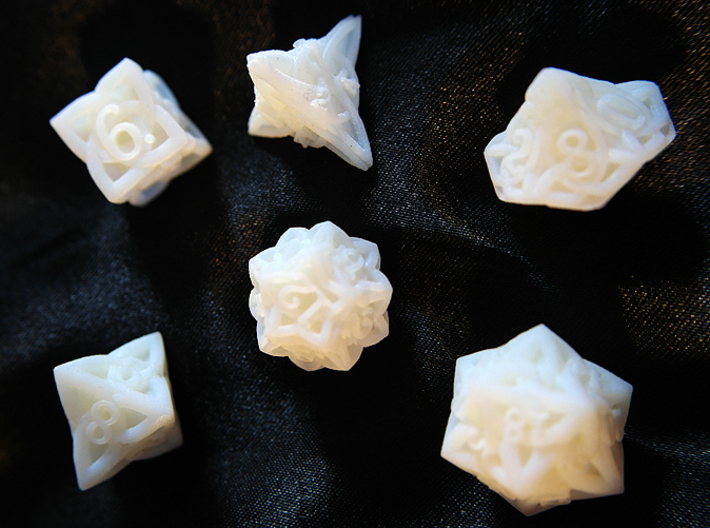 With a solid centre to be printed in plastic.